Allison Hughes enrolled in the Get REAL Program January 2018. She was previously enrolled in Enlighten Academy, an online high school completion program out of Spokane, Washington. While enrolled there she completed five credits and those credits transferred into the Get REAL Program. 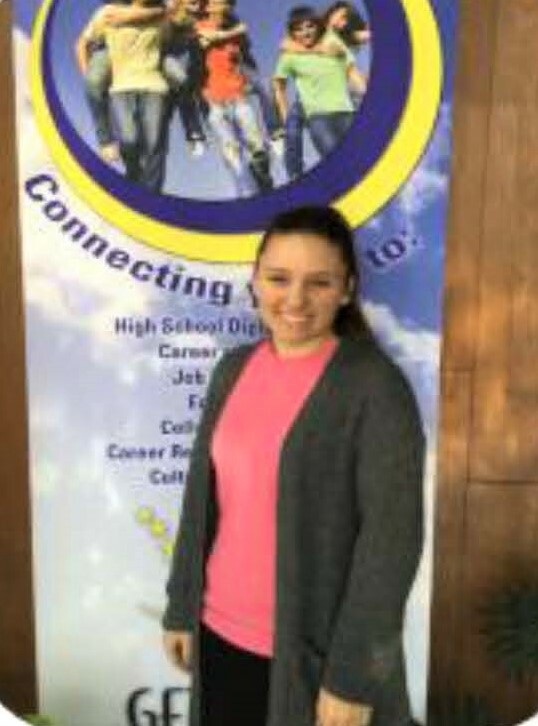 Allison qualified for the adult high school program with her TABE scores being 12.9 in Reading, Math, and Language. She needed 18 credits to complete her high school diploma. Since enrolling in January, Allison has completed five credits and is working on four more. Allison is working at the Lexington YMCA in the Daycare, the job she held prior to enrolling in Get REAL. She is presently our Student Government Association president and is also participating in the ACA 090 Student Success Strategies Class at DCCC twice a week. This class helps students with skills and strategies to promote success in college, career, and life. Allison has been a positive role model since enrolling into the program. She has a willingness to help staff and fellow classmates. Allison helps with all SGA activities and comes to school on a regular basis. Her leadership skills are shown each week as she conducts meetings with Ms. Brown and Mr. Torrence on activities from the student body. Allison is a WIOA participant and will be sponsored by DavidsonWorks when she completes her high school diploma and seeks secondary opportunities.